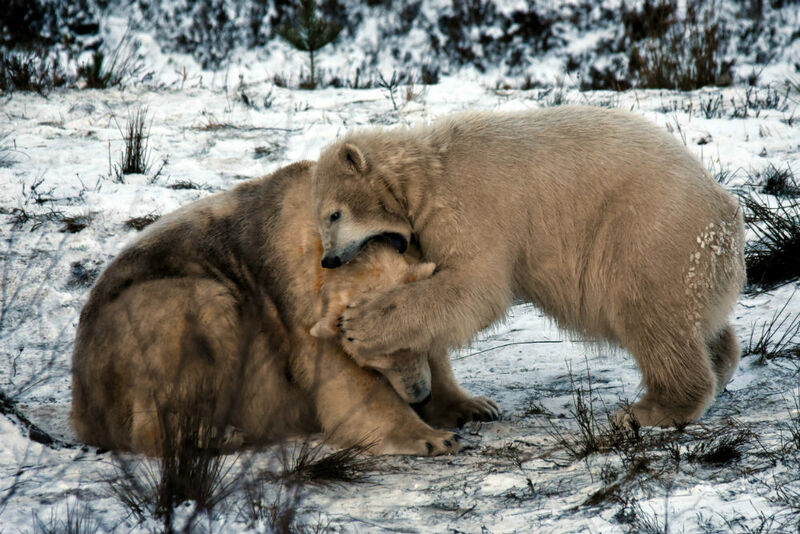 ADORABLE photographs show the first UK-born polar bear cub for 25 years having a playfight in the snow – with his mum. 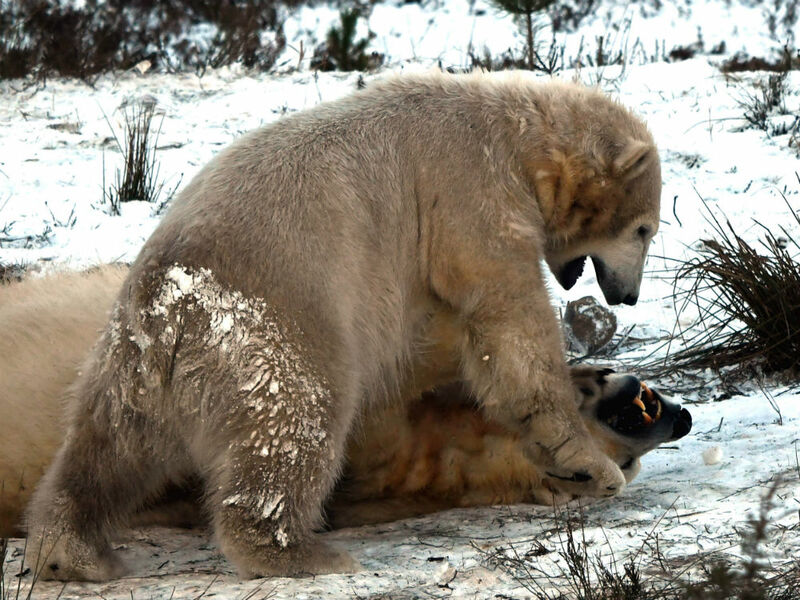 Hamish, who recently turned one, bites, paws and pins down his poor mother, Victoria, during the scrap at the Highland Wildlife Park, Kincraig. And although no damage was done, Hamish was a “bit violent” and Victoria bared her teeth at him towards the end of the battle. 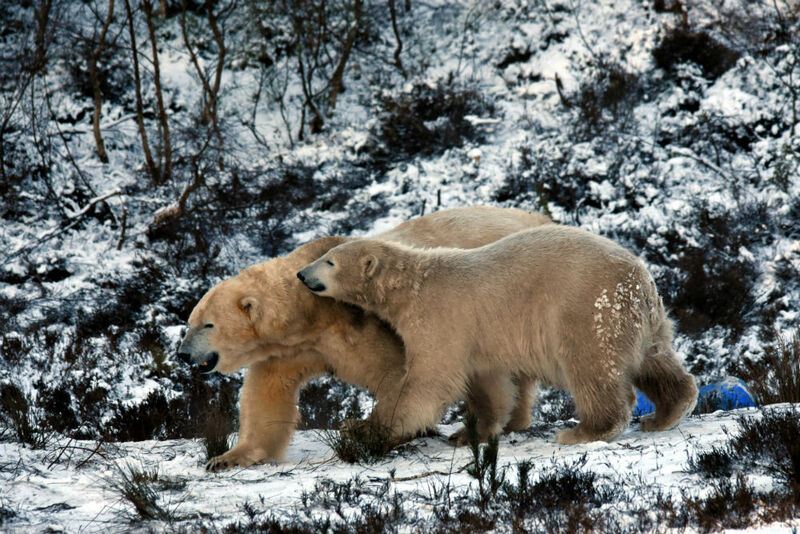 The pictures were taken by Paul and Lynette Clark, from Inverness, on Sunday. 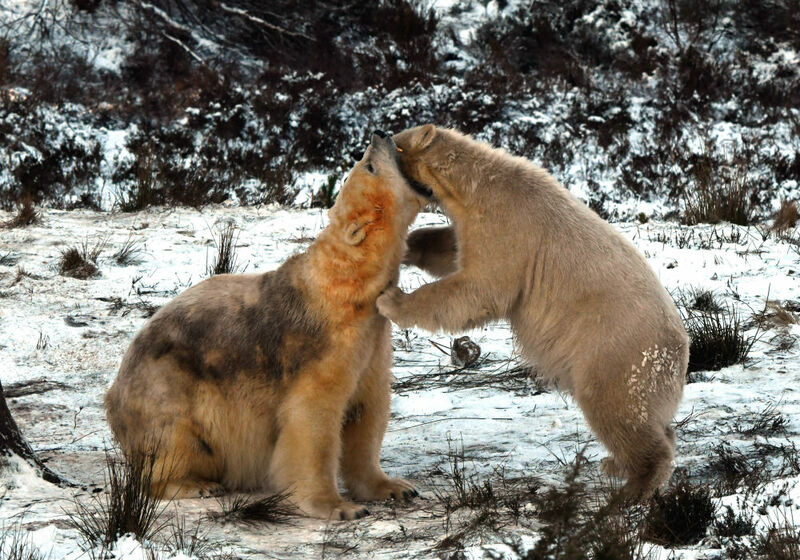 The couple described watching the 15-minute playfight as “an incredible experience”. Paul and Lynette swapped over the camera as the battle unfolded, starting with Hamish gently biting at his mother’s neck. He is then seen climbing on top of her and at one point, standing up on his hind legs and pushing her with his paws. 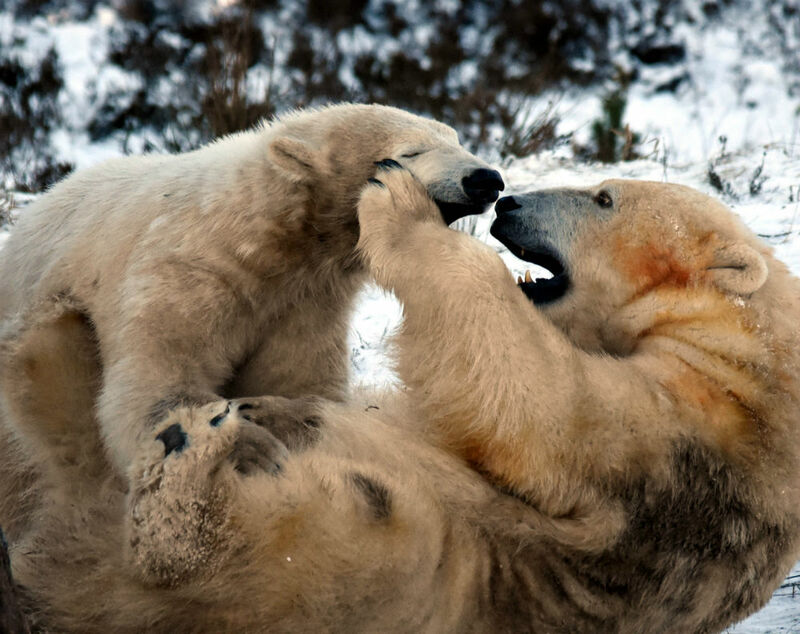 However, one picture in particular shows how she may have had enough with his antics as she can be seen growling at her son. 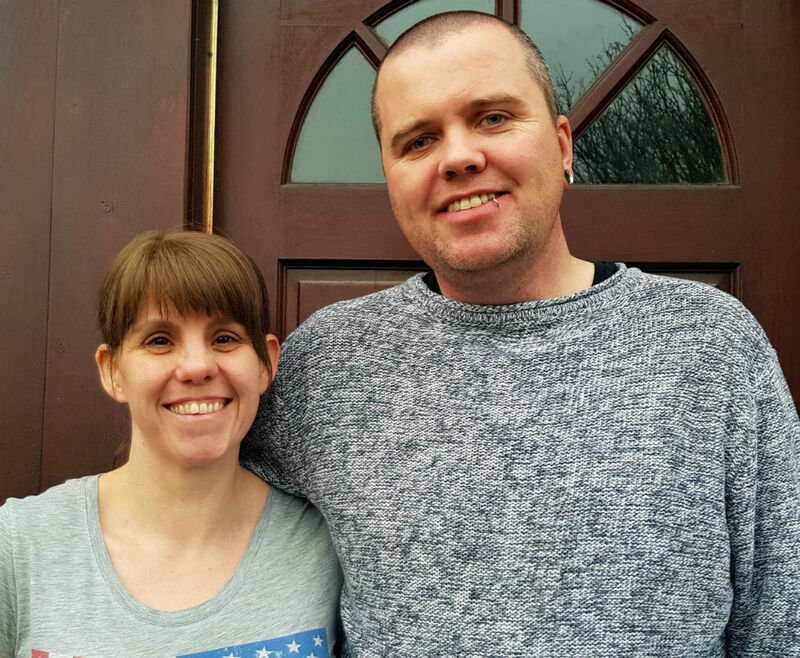 Bus driver Paul, 39, said: “It was an incredible experience. The fight was actually really gentle. It was like watching two puppies play. “The mother was really careful and soft although Hamish did get a bit violent. Paul Keen, a keen amateur photographer, conceded that Lynette, 38, got the better of him in recording the fight.